Alright so I was a little nervous to go see this, because I don't do too well with documentaries. 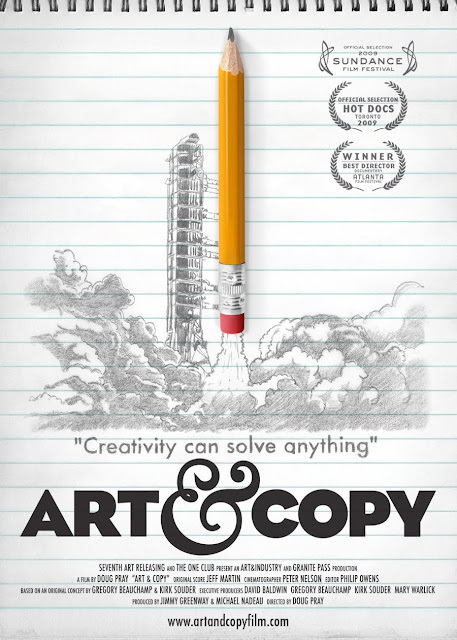 Though if you are a creative you really need to see this movie. It really makes you have pride in this industry and for me it made me re-understand why I do what I do. In our 2009 Young Guns submission we poke fun at the elders in our industry but I have soo much respect for what they have done and in most cases continue to do. It's really nice to listen to them talk about risk taking and doing things that cause a little havok. Lee Clow is probably my favorite, he is just one of those old men that you want to learn everything from and be best friends with. It's weird to think I lived a block from him and all he does for nine months in L.A. So that's it. Short and sweet just like the movie. It's only at the Roxie for this week. Go see it, take it all in and be inspired. Mtn Dew Voting Begins Tomorrow! Just For Fun: MSNBC Twitter gets hacked.